Born to Sikh Indian parents, Governor of South Carolina Nikki Haley earned acclaim for her decision to remove the Confederate flag from state grounds. While maintaining a number of hardline positions- especially in terms of immigration- Haley again made headlines with her early criticism of then-candidate Trump. Criticism that earned her calls to be deported. 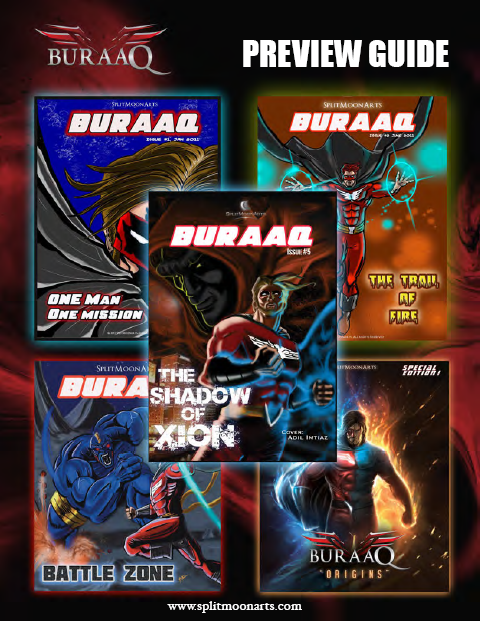 This past Saturday I had the opportunity to connect with Adil Imtiaz, one half of the two sibling team responsible for the comic book BURAAQ, which stars a Muslim superhero. While he was the illustrator starting out he shared, and continues to share, creative responsibilities with his brother Kamil, and was more than happy to talk to me a little bit more about how this project came to be and why. Ms. Marvel, as you may have guessed, came up in conversation, and I ended up learning a few things about Islam that I didn’t originally know. Throughout our talk it was clear that this character and all he presents is a passion for Adil, and that he believes it can, and has done, good things for Muslim youth. After thanking him for finding the time to speak with me about his work we got right down to questions and answers, the latter of which he was very ready to provide. Evan: Now I can’t wait to get into talking about BURAAQ, but before we get there would you like to say a few words about yourself? Adil: Adil Imtiaz is my name. I’m an IT professional, just so you know. And I came here from Pakistan back in 1990; me and my brother and my family. So we’re here with our families and that’s pretty much it as far as my background is concerned. Evan: Would you say that your interest in comic books began at a very young age? Adil: Absolutely. Even in Pakistan as kids, my brother and I used to have a stack of comic books by our bedside. Every night we used to read Marvel, DC, superhero stories. We were, and still are, fascinated with sci-fi and superhero stories and characters. And movies, of course. Hollywood as you can see is all about superhero films. And we used to draw comics and superhero characters as kids. I got sidetracked when I had to focus on higher education, pursuing a career. I had to put it on the back burner so to speak. To provide a clean, fun (halal) and positive entertainment media alternative for our Muslim youth. Reconnect our Muslim youth to Islam and make them feel proud to be a Muslim. Enable interfaith dialogue and increase positive Islamic awareness. Our principles are based on the Quran, Islamic values, and the teaching of the Prophet Muhammad (PBUH). 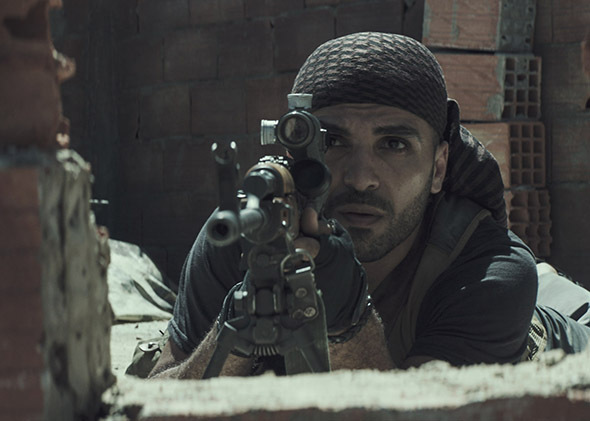 Sammy Sheik as Mustafa in American Sniper.